Readiness is a key but often missing component to the modern Christian’s vocabulary and life. I recently felt compelled to spend a year writing something down each day that would help me help people prepare for Jesus’ return. The result of that process was a changed life and this life-changing book. It is filled with God’s Word intertwined with many of the spiritual discoveries I have made over the past 25 years of ministry. Within these pages you will find a wealth of inspirational thoughts, which can also be used as teaching material to help you help others stay ready! May these devotionals create a daily awakening in your heart and make you even more useful in the Lord’s hands. 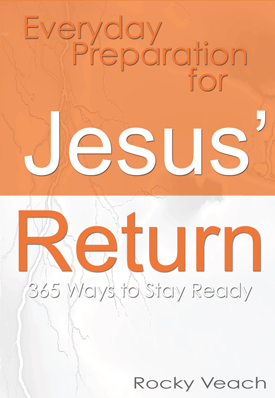 Stay prepared…Jesus is coming!